- Rugged Metal Computer Keyboard with PC Full Function Key, 16 Mini flat Keys design, metal dome connect gold-plated PCB key switch technology. IP65 Water-proof,dust-proof,Vandal-proof Performance. 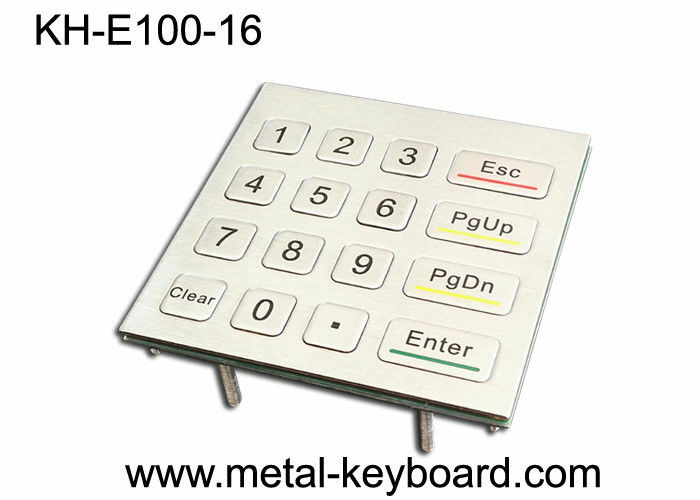 - 16 keys waterproof metal keypad, by 4 x 4 Layout. - Laser engraved characters for excellent durable. - PS/2 or USB connector is available. 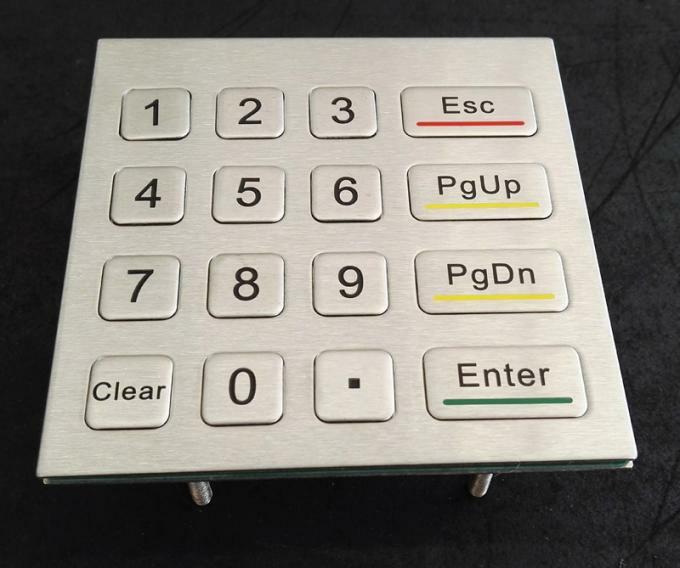 - This Metal Keypad is made form Rugged Stainless Steel Material that is dust-proof, water-proof,vandal-proof, anti-rusty,anti-corrosive ideal for Varied access applications, internet terminals and information kiosks at universities, shopping malls, hotels, banks, airports, railway-stations and other public areas. SZ Kehang Technology Development Co., Ltd.
China Good Quality Supplier. Copyright © 2016 - 2019 metal-keyboard.com. All Rights Reserved.